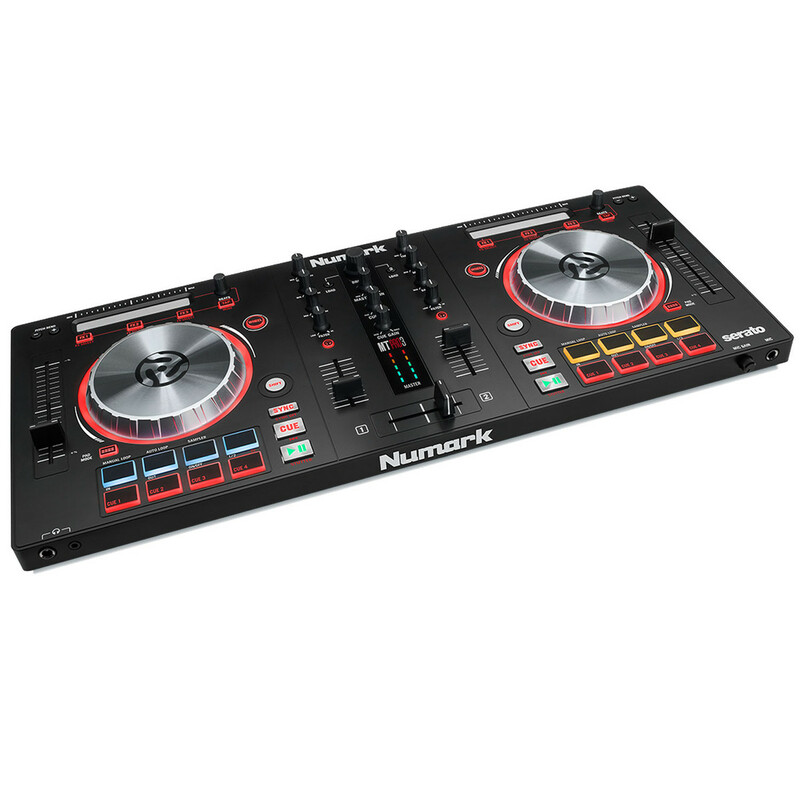 The Numark Mixtrack Pro III is a powerful new DJ controller retaining all the benefits of the previous models, but also boasting several impressive new features. These include the class-exclusive 100mm pitch slider that makes it easier than ever before to execute fine pitch adjustments, allowing you to keep two cuts in beat sync without any drift. The Mixtrack Pro 3 also features dedicated filter knobs for each channel that provide precise tonal control, a multi-function touch strip for dynamic FX control, durable independent transport controls giving greater flexibility and Prime Loops remix tool kit for adding loops and samples to live sets. 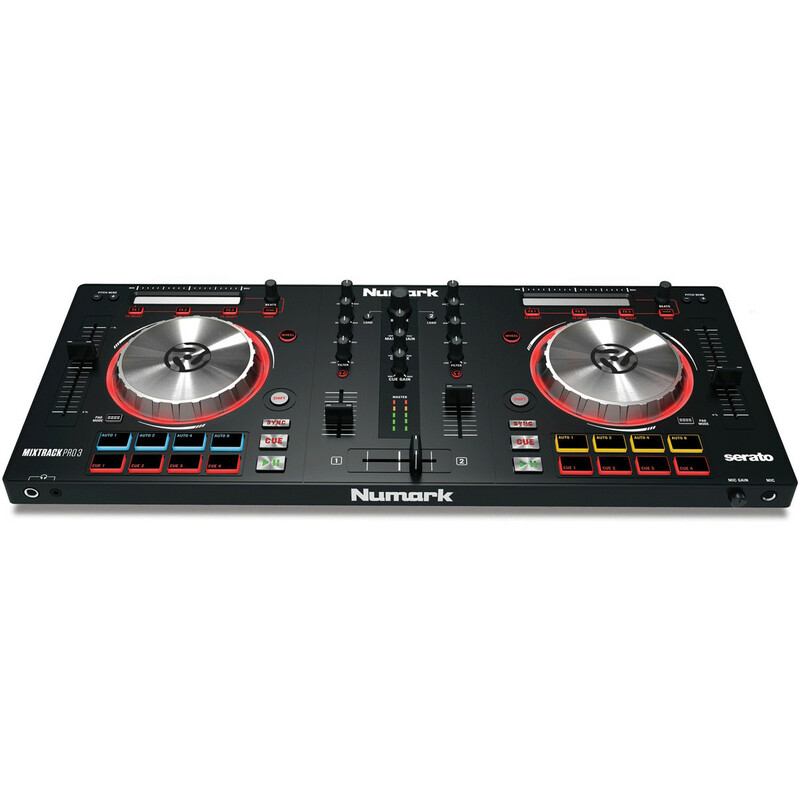 The Numark Mixtrack Pro III features 16 multi-function backlit performance pads, which can be used to launch samples, control hot cues and add loops as you perform. The Mixtrack is also equipped with two advanced dual-zone platters. These enable you to scratch or stop a track just by touching the top surface while manipulating the platter from the side allows you to adjust the pitch. 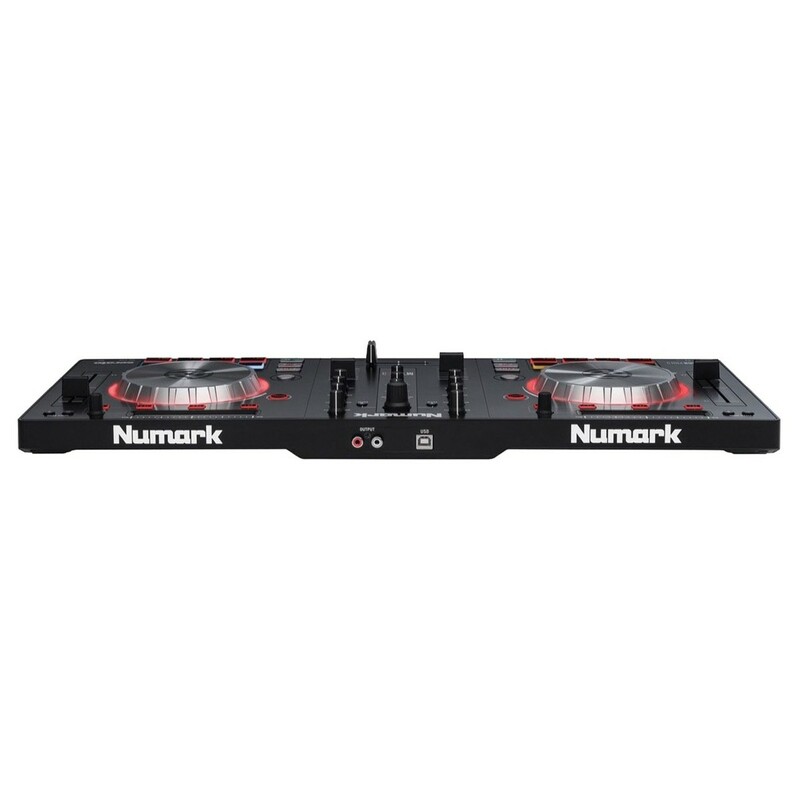 As well as providing you with incredibly precise control over every track and transition, these rugged metal platters are designed to withstand the rigours of heavy live use. 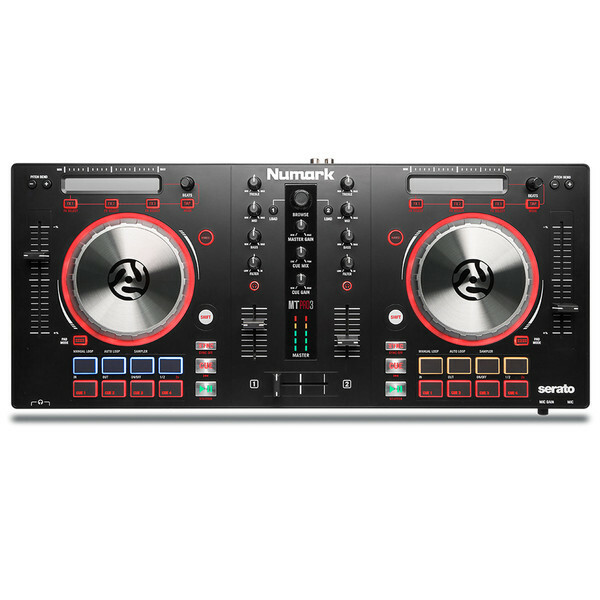 The Mixtrack Pro III is designed to offer seamless and intuitive control over the included Serato DJ Intro software but is also compatible with virtually any MIDI-capable DJ software. Fully class compliant with both Mac and PC, the Mixtrack can be plugged in and used to start mixing music straight away, with no drivers needed. The controller also features a built-in audio system, enabling you to connect your headphones, microphone and PA system without using any kind of external audio interface.